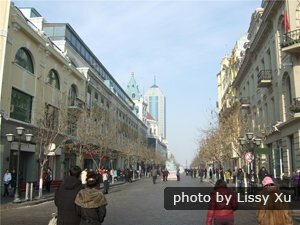 Central Street (中央大街 Zhōngyāngdàjiē) is a pedestrian-only cobblestone street more than a kilometer (about a mile) long lined with stores, restaurants, old architecture dating from the Russian era, and malls. Central Street was part of the original town built by the Russians about 110 years ago. It was first called Chinese Street. You&apos;ll find some shops with Russian products, international restaurants, and two megamarkets, Walmart and the French Carrefour, that are located at the end of Central Street. 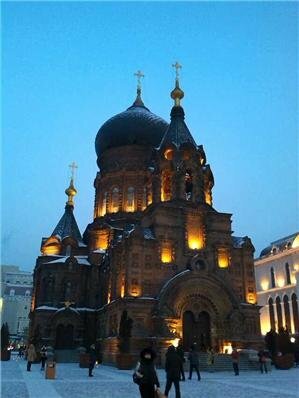 The street is said to be the prettiest street in Harbin, and during the winter you can enjoy a dog sled or a horse sled ride. It is an easy shopping and dining highlight in the area. Central Street is in the old central district of Harbin. Harbin itself is in the northeastern province of Heilongjiang. The city is in China&apos;s northern-most province, and it is north of North Korea. Its international airport is a two hour flight away from Beijing. Travel from the airport to the street by taxi takes about 45 minutes. It is an overnight train ride away from Beijing. When the town was first built by the Russians to service a railroad route they built around the turn of the 20th century, this was one of the main streets. It was originally called "Chinese Street". The street was a central avenue in a cosmopolitan city with people from thousands of countries. So you&apos;ll see a variety of architectural styles on the street and nearby. This was a center for Jews in Asia, and the city was a refuge for Jews, "White" Russians, Mennonites, and people of other groups in Europe and Asia where they could freely practice their religion and build their own businesses and industry. The city had Jewish buildings, many Russian Orthodox churches, and buildings of other religious groups. Many of these buildings can still be seen in the area. Cobblestone pedestrian street for shopping and dining. Russian made goods such as furs, souvenirs, imported vodka, Russian dolls, chocolate, furs, and Russian food products. Russian restaurants and a choice of international cuisine. Interesting old architecture of various styles. Lower prices, especially for local food, transportation, hotels, and Chinese and Russian made items. If you want to eat local Dongbei style food inexpensively, dinner might cost 10 RNB or about 1.50 USD. If you want to find inexpensive lodging, you can get a private room for 10 USD at the local Chinese-style small hotels in the area. Shopping both on Central Street and in the nearby Chinese-Russian Market area. 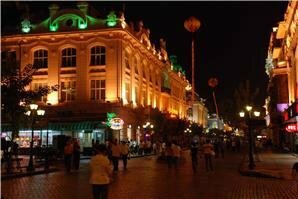 See famous shopping streets in China. Strolling around and appreciating the old architecture and everyday modern life in China. In the winter, seeing the Harbin International Ice and Snow Festival exhibits that is one of the world&apos;s four biggest events of this kind. Seeing the large Siberian tigers, lions and other kinds of large cats in the Siberian Tiger Park. There are hundreds of large cats on display there. Siberian tigers are the world&apos;s largest cat species and are almost extinct in the world. Best Time to Visit: Anytime. To see Harbin in the winter with the beautiful snow and ice sculptures, it is best to come in January. Opening hours: 8:00 am to about 11:00 pm. Most shops and restaurants close at about 10:30 pm every night. Recommended duration for a visit: 3 hours to walk the length, have a meal and shop. Central Street is a pedestrian street. But numerous bus routes and taxis are nearby. If you visit the bars in the area, be aware that Harbin bars have a reputation for frequent fights, especially the bars frequented by foreigners. If a fight start, it is best to leave quickly. Carry small change and small denomination bills with you for the inexpensive taxi rides and snacks, and to use in the shops and outdoor stalls to avoid getting fake money in exchange. This commonly happens. Make sure the taxi driver turns his meter on or negotiates with you about the fare before you hire him, or they will charge their own prices. Of course, in the winter, dress warmly. Harbin&apos;s winters are extremely cold. 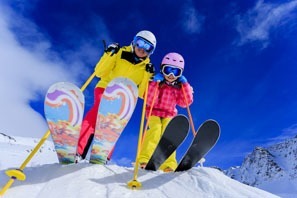 Make sure that you have good winter shoes or boots to keep from slipping on the ice. The weather in the summer is warm and a little rainy. During the winter, the ice and snow exhibitions for the Harbin International Ice and Snow Festival are within a few kilometers. This is one of the four biggest winter festivals in the world. The Ice Lantern Festival exhibits are within walking distance in Zhaolin Park and Stalin Park on the bank of the Songhua River. 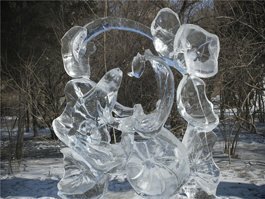 The Grand World of Ice and Snow snow sculpture exhibits are on Sun Island Park. Sun Island Park is a large park, resort, and recreation area on an island in the river. The park includes a Siberian Tiger Park. 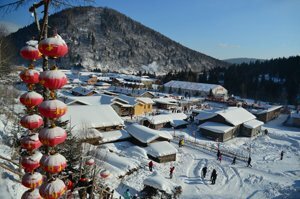 You can also take a three hour train ride to Yabuli Ski Resort that is one of China&apos;s best. Old Buildings in the "Old Quarter"
The immediate area has other buildings and churches from the era when it was an international city. Most of these buildings are in the "old quarter" of the city, in a wide stretch along the Songhua River and next to Central Street. Most of the interesting buildings were built in the 1920s, and they exhibit various styles of architecture. They were mostly built in Baroque, Byzantine style or "Russian style". The buildings have European features. The streets are not well kept or repaired. While wondering around that area, you may find real Russian or foreign antiques in the shops.